Calorie Control Council Response to a Sucralose Study by Abou-Donia, et al. The methodology of the study by Abou-Donia et al. has many flaws, including a lack of proper control groups. The control group consumed plain water, which does not provide an applicable means of metabolic comparison. The control group’s diet contained no sucralose or carbohydrate (e.g., maltodextrin) and therefore does not serve as a useful means of comparison. Studies conducted on sucralose in both humans and animals show absorption of sucralose in the gut is limited and the majority is excreted unchanged. In fact, at the end of the 12 week treatment period in the Abou-Donia et al. study, the animals had no observable health effects. Thus, there is no reason to believe that sucralose would adversely affect gut health. Long term ingestion studies of sucralose have shown no adverse side effects, metabolic or otherwise. Sucralose is not metabolized by the body for energy. Most is not absorbed and thus excreted unchanged, without accumulation in the gut or elsewhere in the body. As a result, there is no reason that sucralose would cause poor nutrient or drug absorption. Further, the test dosage given in the study by Abou-Donia et al. contained 93.6 percent maltodextrin (a carbohydrate) and only 1.1 percent sucralose thus, it would be unlikely that any reported metabolic effects could be attributed to pure sucralose. Clinical studies support that sucralose has no side effects. Sucralose was administered to both healthy subjects and people with diabetes, in quantities well in excess of typical exposure levels, with no adverse consequences. In studies of people with diabetes, changes in diabetes treatment (drug therapy) regimens were also monitored. There were no significant differences found between subjects exposed for months to daily high amounts of sucralose and subjects who received placebo over the same time period. The study does not support a dose response relationship. A significant change in body weight was seen with the low dose sucralose intake (100 mg/kg/d in water) but not in the high (300 and 500 mg/kg/d in water) or highest dose groups (1000 mg/kg/d in water). The control group also gained weight. Further, there was no attempt to control for or measure overall food and calorie intake and such intake was not reported. The researchers report a decrease in beneficial gut bacteria with the consumption of sucralose treatment. In actuality, both the good and bad bacteria decreased, indicating a natural fluctuation on bacterial levels. When determining the effect on bacterial levels, it is the ratio that matters and not the individual bacterial response. Importantly, sucralose has been available internationally for over 15 years, and has been used safely by millions of people. Moreover, studies show that no-calorie sweeteners, including sucralose, can be useful tools for calorie management, which is a common concern in optimally managing one’s health. An overwhelming body of science supports the fact that sucralose has an excellent safety profile and is well-tested. The safety of sucralose is supported by more than 100 scientific studies conducted over a 20-year period. The safety of sucralose has been confirmed by leading medical, scientific and regulatory authorities around the world including, the US Food and Drug Administration (FDA), the Joint Food and Agriculture Organization/World Health Organization Expert Committee on Food Additives (JECFA), European Commission’s Scientific Committee on Food, Health Canada and Food Standards Australia/New Zealand. 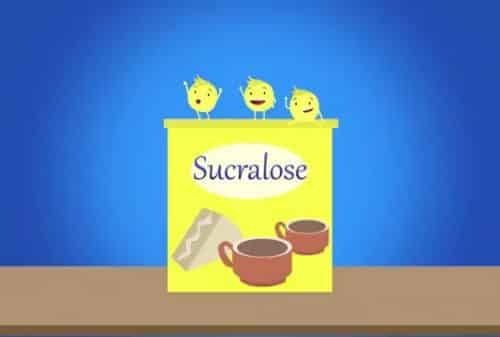 For more information about sucralose, visit: www.sucralose.org.